Catherine Ruth Riley-Bryan, was teaching at Chiang Mai Academy in North Thailand in the year 2000. Catherine accompanied a group of students to a community in Bong Ti, on a school excursion to assess the impact that Christianity was having on the Buddhist community There she discovered that the small district on the Myanmar (Burma) border was seriously neglected and underdeveloped. There was no electricity, no plumbed water, no education, and limited access to medical care. The roads were merely dirt tracks. Here resided a community of Karen hill tribe people with no legal or national status and no legal ID. In late 2000 Catherine conceived of and began establishing the Bamboo School orphanage. 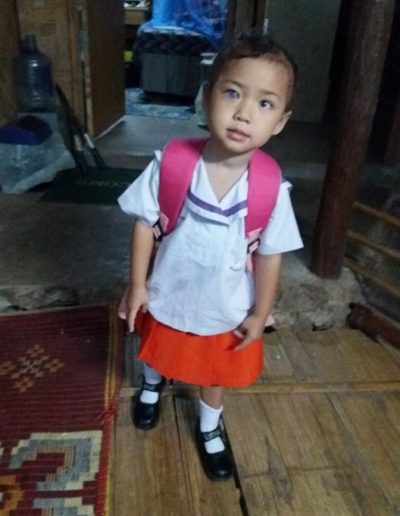 Since that time the Bamboo School has cared for 384 children. The children have been orphaned abandoned or abused, they are the stateless castaways of a conflict with the Myanmar government. They often arrive sick and undernourished from neglect. Some children return to their families after a time but for others the Bamboo School becomes their life long home. 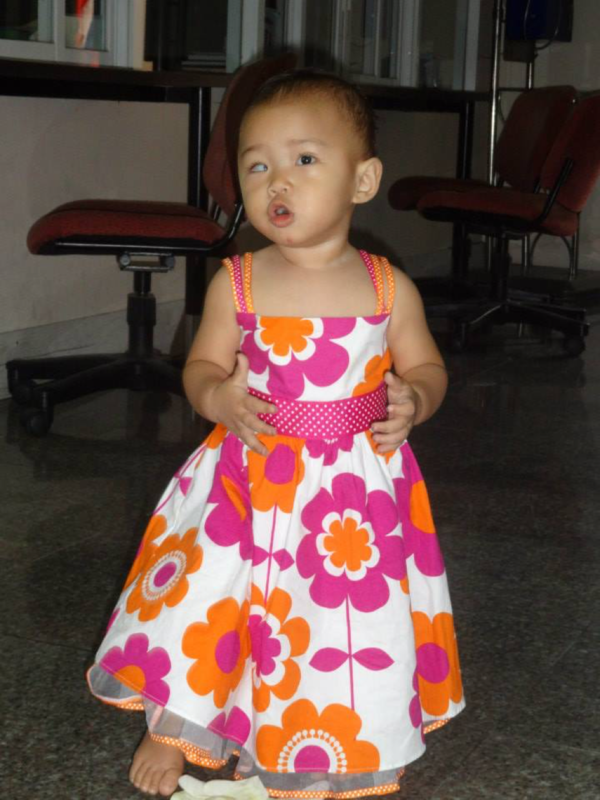 In 2012 Soy Fah a baby girl was abandoned at birth in a toilet because it was thought she was born blind. 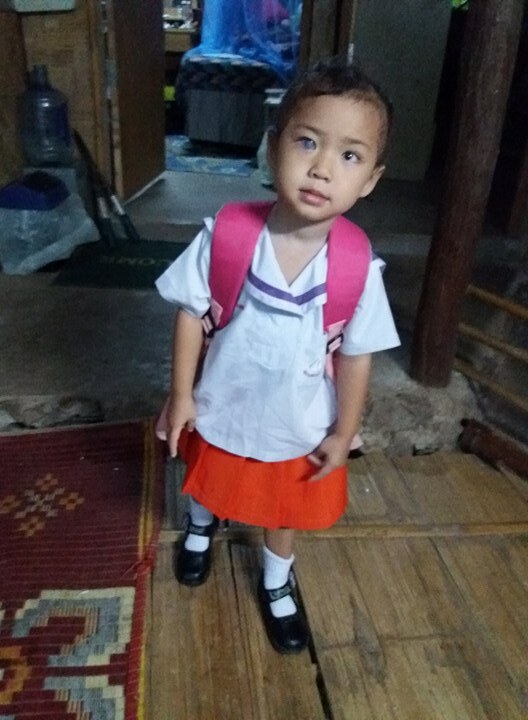 After an hour some person with a heart delivered her to the Bamboo School. 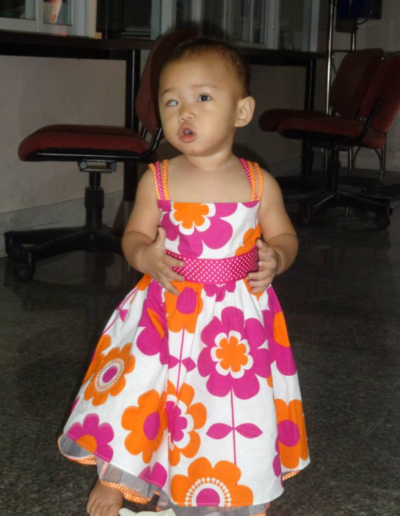 Catherine took her to hospital and the doctors managed to save her. She was suffering blindness and Catherine was able to secure the services of an ophthalmologist in Bangkok to attempt to save her vision. Now after several surgeries the sight has been restored in her left eye with a corneal graft planned for her right eye. The Rotary Club of Ipswich City has funded this and other projects at the Bamboo School. The club members are delighted that they have been able to be part of saving the eye sight of one little girl.